If you followed my previous posts about planning for our family’s first cruise ever on the Disney Dream, then you know how nervous I was. 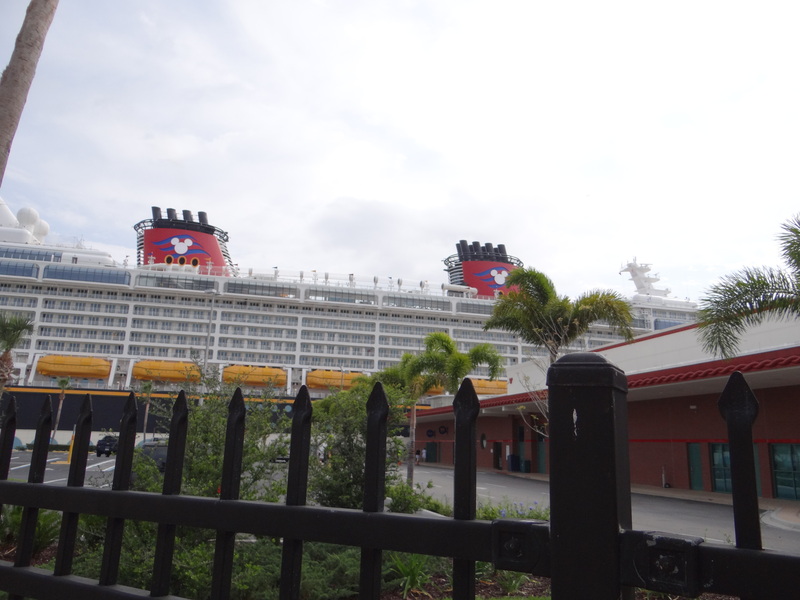 Let’s face it, a Disney cruise is not an inexpensive vacation. Plus, my husband really didn’t even want to go. So the idea of spending our family’s money on our one big vacation this year that my husband didn’t even want….well, I was determined that it would go smoothly. So I’m happy to say, THE PLANNING PAID OFF!! In fact, I have never experienced a smoother start to a trip. Here’s the blow by blow recap of our trip to get to our trip. You may have seen my post from the day before we left. That day I also packed and stopped by the bank to pick up $50 in $1 bills. These really came in handy for tips throughout our vacation. I checked in to our flights online, paid for our checked bags, and printed our boarding passes. 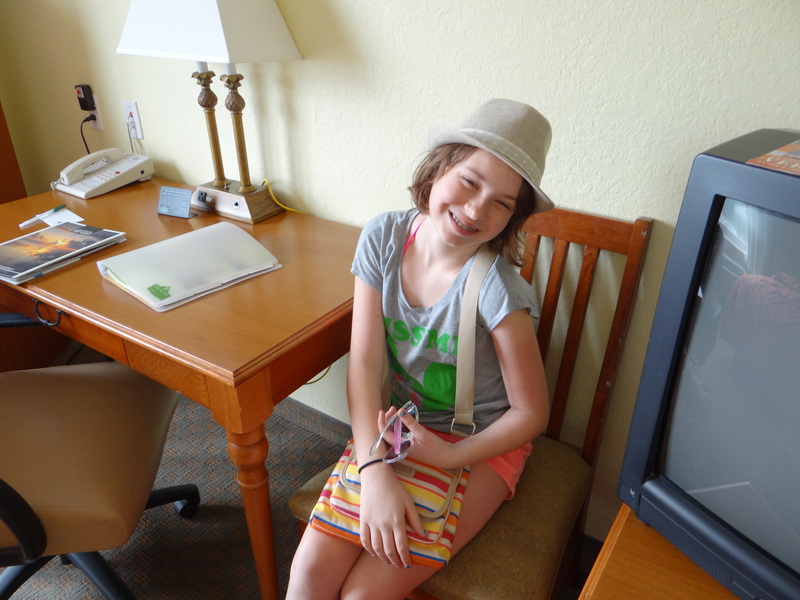 After Illuminations ended, we jumped in our rental and drove to the Country Inn and Suites at Cape Canaveral. The drive from Walt Disney World to Cape Canaveral was just over an hour. The hotel was basic, clean, and very crowded with others embarking on cruises the next day. Check-in was smooth, and we went straight to our room and passed out. The next morning, we were up early for the free breakfast buffet, then packed our bags and hopped back into our rental car and headed to Avis to drop it off. A note regarding luggage. Don’t forget to bring your carry-on with whatever you’ll need for the day, like sunblock, bathing suit, book, medicines, etc. Also, put the luggage tags that Disney provides on your bags at this point. On the way, we stopped at a little gas station and bought a couple of bottles of wine to take with us on the cruise. (Don’t forget the cork screw!) You can pop those into your carry-ons as well. 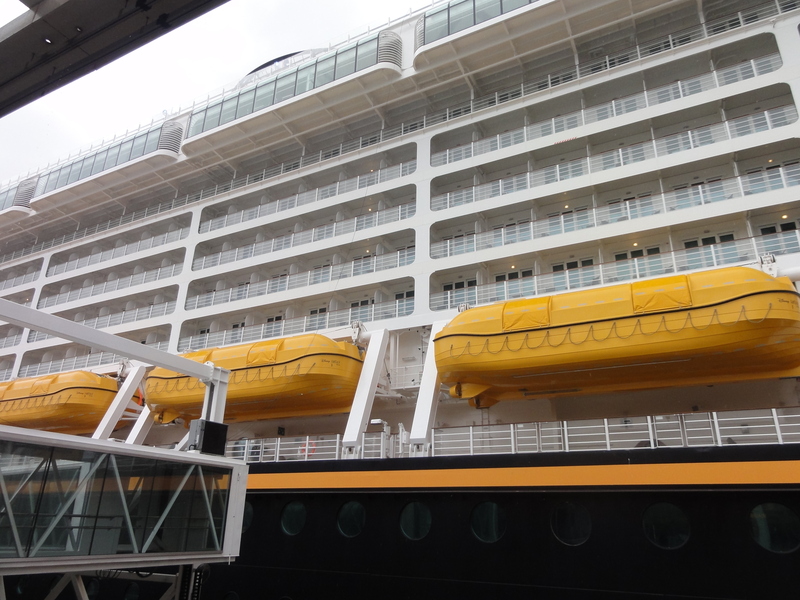 We got to Avis by around 9:30, but were told that they weren’t able to bring us to the port until 10:30am, after the prior cruise passengers had debarked. We chose to sit and wait. At around 10:10am they received the OK from the port to begin bringing passengers, so we hopped on our shuttle and rode to the port. Now keep in mind, Disney told us to be at the port at 12:30pm. We arrived at 10:20am. They took our bags straight off of the shuttle bus and to the ship. (That’s why you put your tags on them earlier that morning.) Then we lined up near the gate at 10:20, and after 10 minutes were allowed to head into the terminal. 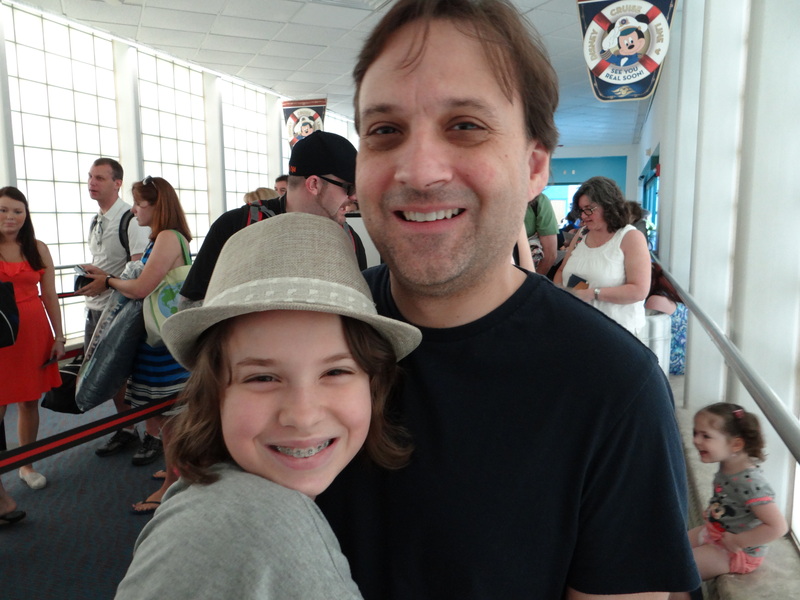 We were one of the first families to enter the terminal, so there were no lines at all. One is excited. The other still a skeptic. Once you pass through security (a breeze), head to the long row of agents at the check-in desk. Hand over your pre-printed and filled out documents (remember those?) and your passports. You’ll also need to fill out an affidavit stating that no one in your party has had a stomach bug for the past few days. Then they’ll take your picture and assign you an embarkation number. We were in group 14. So by 10:45 we were chilling in the terminal, and had our picture taken with Captain Mickey! 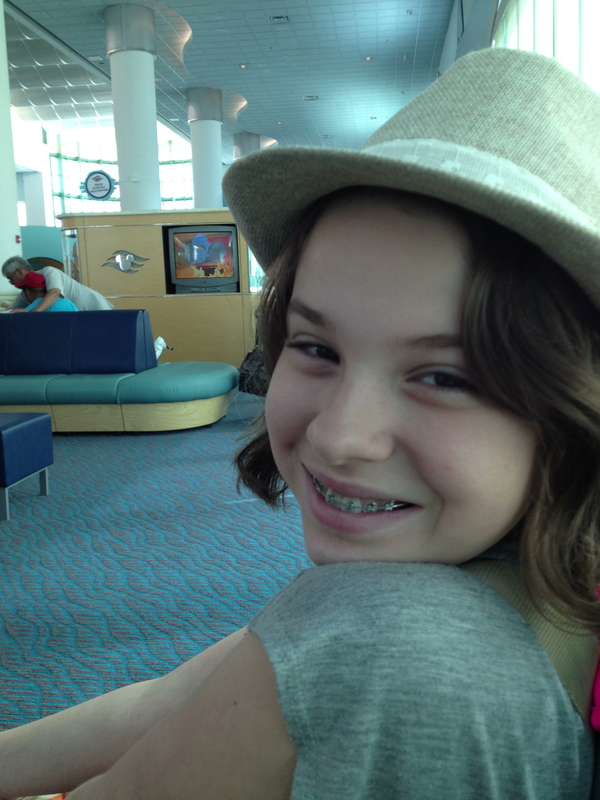 Waiting in the terminal – with Disney cartoons! For parents with younger children (under 11), line up immediately to sign your child up for the kids’ clubs and get their bracelets. Trust me – this is so important to do right away. The line was HUGE by 11am. If your kids won’t be going to the Oceaneer’s Club or Oceaneer’s Lab, you don’t need to do this. At a little past 11am the first group was called to embark. This process went quickly, and our group (14) was called by 11:40. We walked on up to the giant Mickey ears, and stepped into the line to embark. 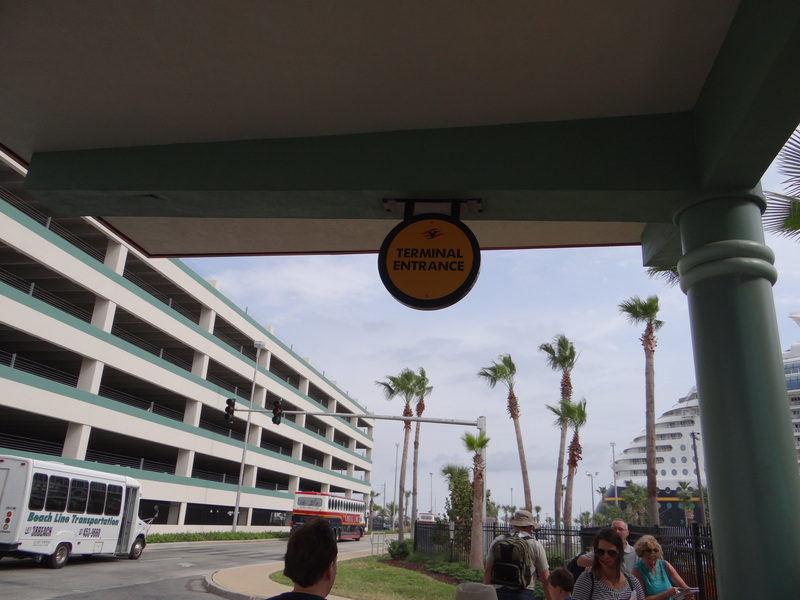 Gateway to the Disney Dream! 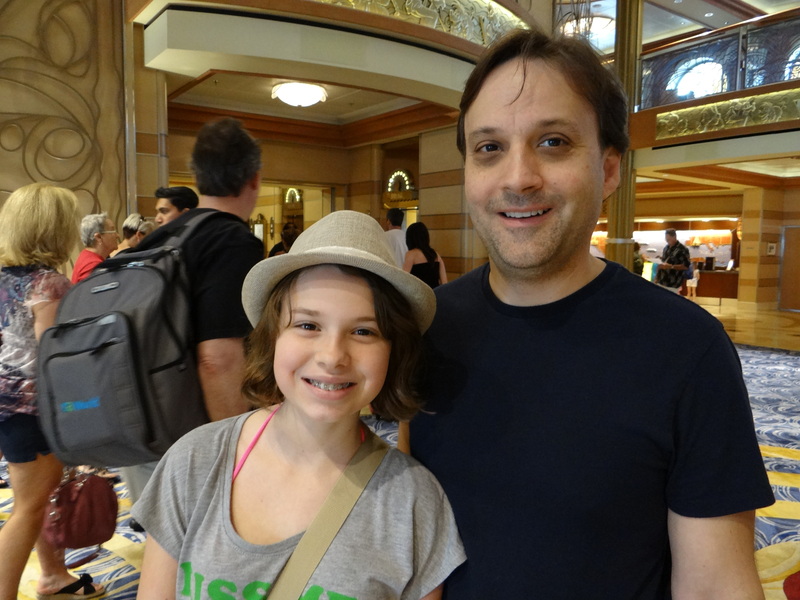 Our picture was taken, and then we were welcomed aboard the Disney Dream! By the look on my husband’s face, I think he was suitably impressed. 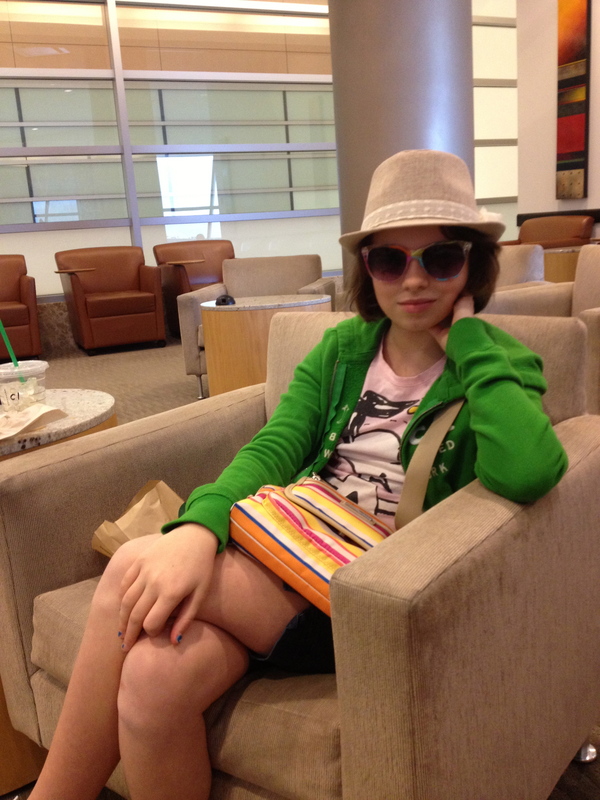 Oh…and remember how we weren’t supposed to show up to the terminal until 12:30pm? Yeah…we were on board before noon. Score! Stay tuned for the next installment – our stateroom and the Aquaduck! So let me know – did our super easy experience jibe with yours? Only 28 days left until we’re on our way to Orlando! And yes, I say Orlando, because that’s where we’re flying to in order to get over to Port Canaveral. One of the things that really stressed me out about planning our first cruise vacation on the Disney Dream were the unknowns that just weren’t answered on the Disney website. How would we get to Port Canaveral from the airport? How would we get to the airport in Boston from our house? How are we getting back? I know these aren’t things that should stress anyone out, let alone a travel agent, but I haven’t planned a cruise before (which is why my family are the guinea pigs here) and really wasn’t sure what to do. So here’s the deal. Disney offers the option for you to book your flight through their service when you book your cruise. However, they fly you in the morning of your cruise. I have heard too many horror stories of people either missing their flight or having flight delays, resulting in missing their cruise. That just freaks me right out. Also, because I booked late, there were no seats available on their flights anyway. You can also plan to spend a couple of days in the parks before or after your cruise. You can book this all together as part of your cruise. If you want to do this, I highly recommend going to WDW before your cruise. That way you can relax and rejuvenate once you’re on your ship. 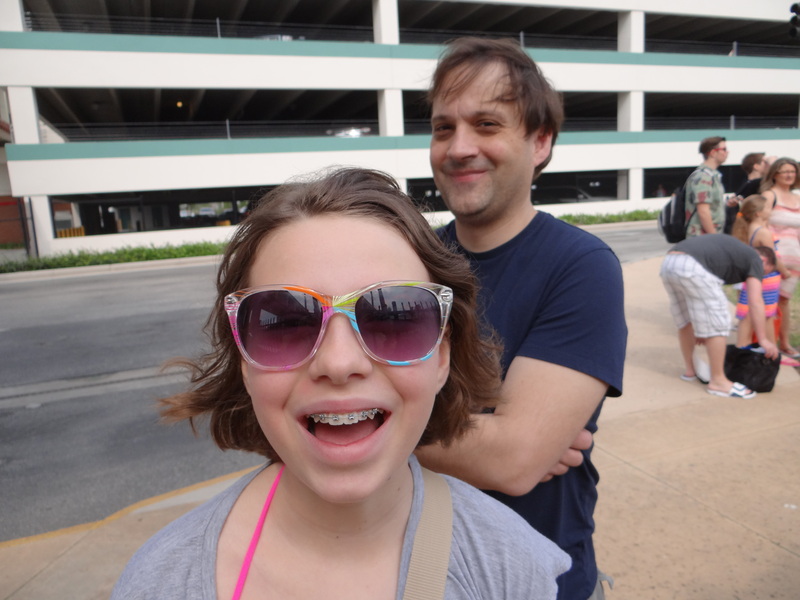 Let’s face it, WDW is fantastic, but relaxing it is not. OK, so here’s the plan, from doorstep to ship and back again. 1. How are you getting to the airport? Don’t forget to plan this step! Like many people, I travel fairly regularly for work. I do it so often that I sometimes forget that traveling on a vacation with my family is very different from traveling alone, and that I can’t expense this piece as I usually do. So my normal routine (drive to the airport, park in my regular area in the garage, pay an average of $40 per night, drive home, expense the bill) will probably not be the best option. The cost is awful, not to mention the fact that our family’s luggage won’t even fit in my tiny car. I investigated a few options, and have decided to hire a sedan service. They’ll pick us up the morning of our flight, drop us off at the terminal, and pick us up when we get off the plane. And it will cost less than it would for parking for the length of our trip. Latest Orlando International Airport Flight Arrival on Embarkation Day — 1:45 p.m. Earliest Flight Departure from the Orlando International Airport on Debarkation Day — 11:30 a.m.
And don’t forget, Orlando International Airport is not your only option. Melbourne International Airport is actually a little closer. You can even fly into Tampa if you don’t mind a little bit of a longer drive. Just check your options. We fly out of Boston, and it’s almost always less expensive to fly to Orlando. 3. Where are you staying the night before? If you’ve followed my advice and arrived in Orlando the day before your cruise embarks, then you’re going to need a place to stay. 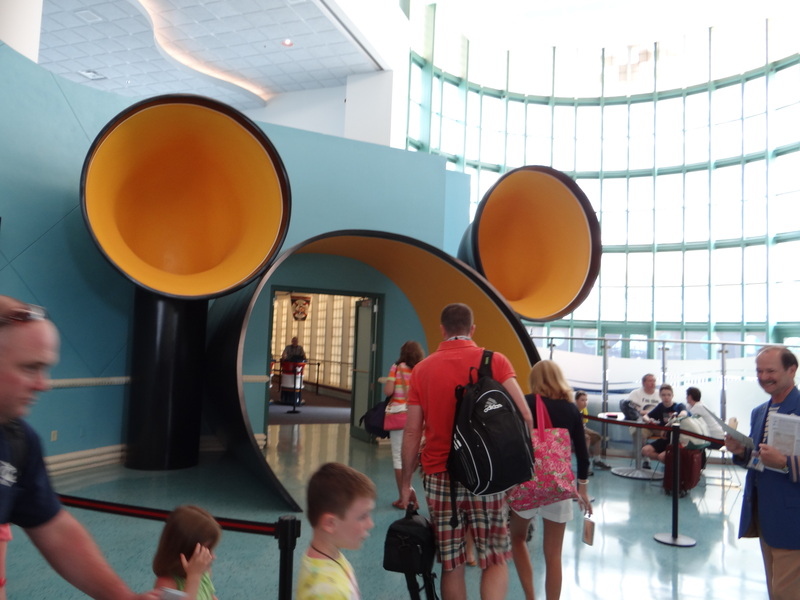 Depending on the time your flight arrives in Orlando, you might want to spend some time at the Disney parks, or even (gasp!) at Universal Studios Orlando. If you do, it might be convenient to book a night stay in one of the resorts near the park where you’re visiting. Or, if you’re being obsessive about getting as close to the cruise terminal as possible the day before your cruise so that you don’t miss it (as I obviously am), there are several budget hotels very close to Port Canaveral in Cape Canaveral and nearby Cocoa Beach. Many of them offer free shuttle service to the Port. Just do a quick search and you’ll quickly see the options. One of my favorite references is Trip Advisor – we’re staying at the #1 ranked hotel. It’s inexpensive, clean, and convenient. That’s all we really need – I can wait one more day for luxury. 4. How are you getting from the airport to your hotel and then to the port? Well, if you’re going with the all-Disney travel plan, you’ll have your transfers taken care of. 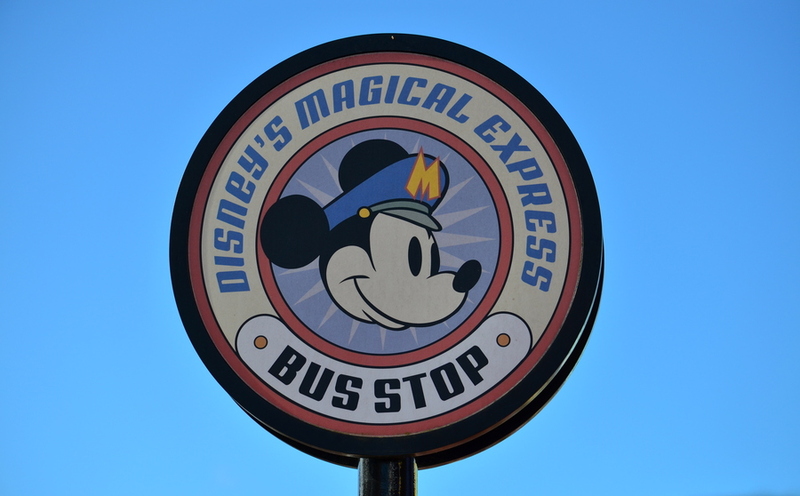 Magical Express will pick you up at the airport and take you to your resort, then pick you up at your resort to take you to the port. Super easy, and the buses are quite comfortable. Since we’re not going this way, we’ve decided to just rent a car. There are several rental car companies right at the port, including Avis, Hertz, Budget, Enterprise, and Thrifty – all of which are also at Orlando International. So we’re renting from Avis, driving to our hotel, then dropping the car off at the port the next morning. Then we’ll pick up a car when we leave the ship, and drive to the airport. This will give us the most flexibility on our arrival day to figure out what we want to do. Maybe we’ll go visit Harry Potter at Island of Adventure. Or stop in at Epcot for the Flower & Garden Festival. Or maybe just drive to our hotel and hang at the pool. No matter what we decide, we’ll be able to just throw our luggage in the car and drive there. If driving isn’t your thing, then check out the Port Canaveral website for several other ground transportation options. Whew. So that’s how we’ve decided to roll this trip. I really, really hope it works out well, but you’ll know either way. Next up – documentation…. So for all you experienced cruisers out there, what has worked for you in the past? Any advice?